I grew up with one giant red stocking. My grandmother made it for me 🙂 It’s red felt, and has some reminants of glitter glue on it. Back when we were little and Santa was as real as real could be, it felt like a darn tooin’ miracle to walk into the living room Christmas morning and see those stocking filled with goodies. Actually, it still does. My parents have been pretty awesome with that tradition. Though they’ve always said how the stocking my grandmother made were far too large. It’s been in my head for a while. The thing is, we could go out and buy new stockings – but Lulu made these all by herself. 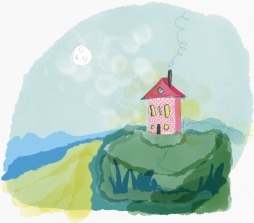 How can you replace homemade memories? Well you cannot replace them. But I was thinking to myself, and decided that Zsolt and I need little stockings that we can take with us wherever we may be for the Holidays, be it Canada, Hungary or the moon. So, I decided to sew us Christmas stockings. Here’s my how-to-list for making Christmas stockings, from someone who really cannot sew. 1) pick out pretty material. I picked mine up from a shop called Fabrications in Hintonburg. 2) Pick out some soft stuff to add to the material. Only do this is if you want to make your life more complicated. Sewer Beware, this is a time-adder to the project. Though I do think it is worthwhile. I picked up some raw felt from the knitting shop Wabi Sabi in Hintonburg. 2.5) Watch a Youtube video on how to use a sewing machine . . . after you find yourself one. You can also handstich, but be prepared to take forever. Forget patterns, I Lady McGuivered it by just piling the materials on top of one another, did some pinning and cutting out a vague, large sock-like shape. This resulted in several errors and a lot of repining. Each sock is unique, because I’m terrible at planning. So one is really wide, and the other is really tall. 4) Sew it all together somehow. First I almost sewed it backwards. Then I ripped that out and started again. Except the edges were raw. So I cut a strip to cover that up. 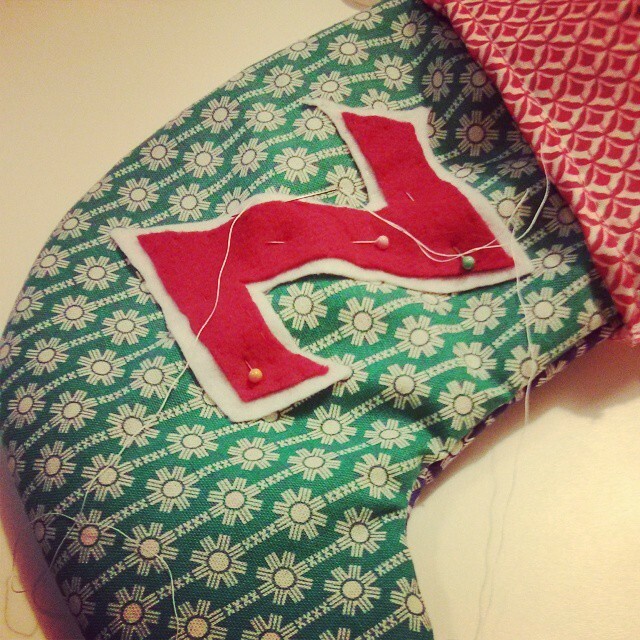 Eventually I resorted to hand-stitching certain sections that somehow e scaped the chomp of the sewing machine. 5) The details matter. 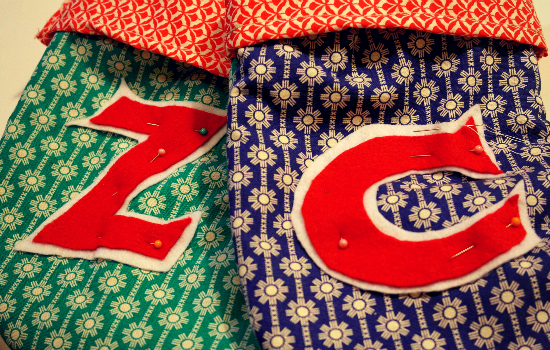 Seconds before I was about to cut into my felt for the Z and the C lettering, once again about to freestyle the letters – I thought, hey, why not print out a letter and just trace it? I did, and it turned out beautifully. Because these stockings are meant to be life-long stockings, I didn’t just glue on the letters, but instead stitched them on. And voila! Lovely Christmas stockings. No matter how meandering and ridiculous the process, they got there in the end. I’m quite pleased. And speaking of being pleased. I’m focusing on enjoying life a bit more this month. After the puddles of misery throughout November with waiting for & receiving scan results, I wanted to stop being sad all the damn time. That is my big goal for 2015 that I made during my parents workshop. So, that means a few big changes that I’ll talk about later, but also one pretty important one I’ll talk about now. 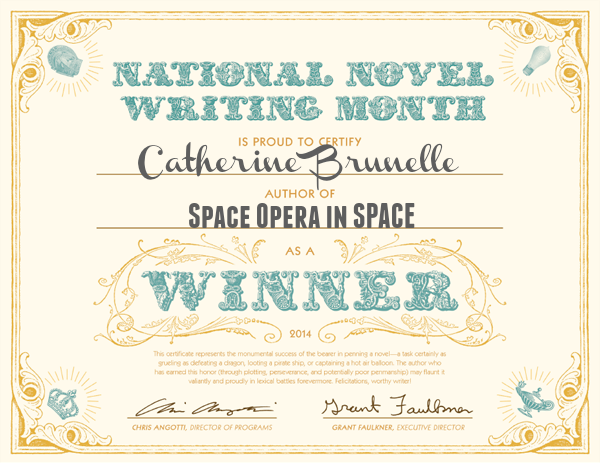 I signed up for National Novel Writing Month, and finished the 50,000 in one month! It felt incredible and bizarre. At the start of the month it really seemed impossible, but by the end I was rolling. If I could give myself time to write 2000 words a day, do you realize how much I could write? TONS. So, what I’d really like to give myself this year to help make life more liveable is the gift of TIME. TIME to do what I love. TIME to clean my apartment. TIME to write 2000 words. TIME to get together with friends. TIME for my writing podcast. TIME to exercise. TIME to play. That means shaving off time from other things. It means a bit of change and letting things go that I have wanted to do, and still want to do. But at this point, I think what really matters is just finding a way to not cry so often. Silly things like Christmas stockings are part of that. Okay, it’s a long, long, long, long, long shot. One of those million in one chances. BUT, Canada Reads 2015 is looking for book suggestions for next year around the theme of breaking barriers. So, if you are in the mood, I’d love your help to get Claire Never Ending seen just that much more by tweeting (tweet #CanadaReads to @CBCBooks), emailing, instagramming or facebooking using #CanadaReads with my title. Oh, and the deadline is midnight today! I really feel like my book breaks some barriers – it literally brakes the barrier of time within one family, and by doing so showcases the reasoning and actions between hard decision and their lingering impacts. I think that allowed me to paint the Claires with compassion, even if they were making sad choices at times. Also, I reckon it breaks some stereotypical gender barriers with storytelling in that this is a book written about women, celebrating their strength, and it doesn’t hinge upon chasing a man or being caught between two men. Essentially it doesn’t need that love-challenge to make the story work. I’m rather proud of that, actually. Plus of course, obviously, it’s self-published. I think it’s yet another example of how good books are finding new ways to be seen – breaking the publishing house barrier. Plus, with all this breaking barriers, this season of Canada Reads is in store for some seriously heavy reading. So, the Claires could lighten things up, too. At least a bit. Anyhow, as I said, this is an impossibly lonnnnnnnnnnnnnnnng shot. Without a publisher rallying behind a title, it really is damn difficult to get seen at that kind of level. But life is full of million to one shots. I got Zsolt to email them with my book today. 🙂 By the by, I think anyone can nominate a book – they don’t go checking nationality. And that’s all I have to say about that. Now I’m off to clean the kitchen . . . again. Dear Kitchen, please grow up and learn to wash yourself. 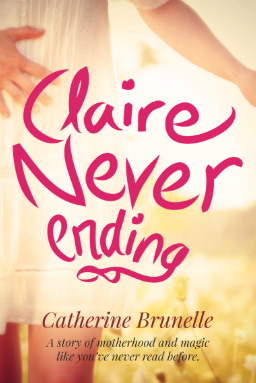 Thanks for reading this self-promoting post, and if you do contact the CBC to suggest Claire Never Ending, thank you so much!